You can find the best blogs on StumbleUpon. It's how I found one of my favorites, Euros Ate My Dollars, and this morning, it led me to Almost Fearless, "a blog that follows one womans journey from corporate manager to free wheeling travel writer." The author, Christine, recently quit her job and is planning to live abroad with her husband. 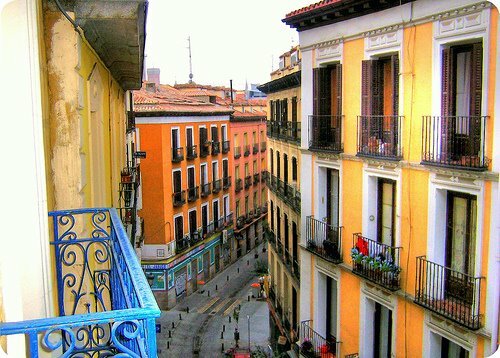 Their first stop is Spain, where they are renting an apartment in Madrid for 3 months. So far, her posts are about deciding to live abroad, preparing for the move, and quitting her job. After reading through the archives this morning, I'm hooked. She started the blog less than six weeks ago, so it didn't take me long, but now I have to wait patiently for new posts. These are just a few, and I really could have listed her whole archive, so check it out and see what your favorites are. See more of my favorites on StumbleUpon.